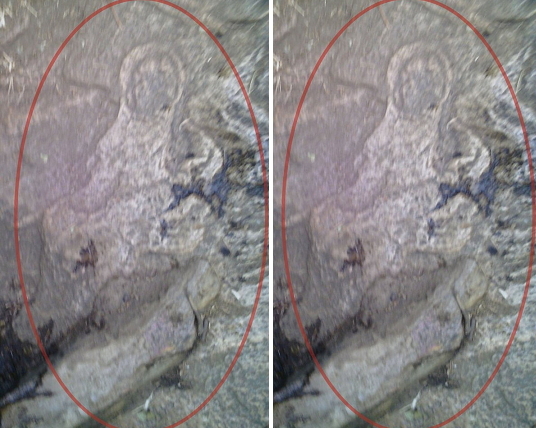 The latest gist making round in Nairobi Kenya is the discovery of an image that look like that of Virgin Mary. According to area residents of Makueni county in Wote, Manooni Dam has turned into a tourist attraction center as thousands of Catholic faithfuls rushed to the miracle scene to behold the image. Pictured above is the image seen on a rock in Manooni Dam today. @Akuwaxi, l stand where you stood. Since they‘re have been worship image,forgetting “exodus 20:1 -10” that says you shall have no god except me (God). Some gullible ones will think that the image is real because of their gullible mind, not minding that this what devil prepare to enslave them.